The 3-day Energy Ocean Conference and Exhibition will start June 3, 2014 in Atlantic City, NJ. This month's release of the National Climate Assessment report clearly spells out the growing dangers of climate change to the U.S. economy and the environment. APS microinverter products to be distributed by Utilities Supply Corp.
APS microinverter products will be distributed by Miami-based Utilities Supply Corp., under a first-time agreement between the two companies. The partnership establishes APS microinverter products in the Florida and Caribbean markets, following recent distribution deals in Nevada and California. 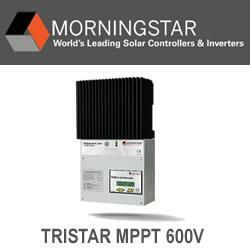 Solectria Renewables' Central Inverters Compliant with NEC 2014's Arc Fault & Rapid Shutdown Req. Solectria Renewables, LLC, a leading U.S. PV inverter manufacturer, announced the introduction of its new ARCCOM today. The ARCCOM is a disconnecting string combiner with integrated Arc Fault Detection and Interruption (AFDI). Strata Solar chooses Daetwyler Clean Energy's Modu-Rack™-SA system for their 6.4MW installation in New Bern, Craven County, NC. Established energy market intelligence provider, ICIS, has announced the launch of The Carbon Markets Almanac 2014 at Carbon Expo in Koelnmesse, Cologne. The Rotterdam based research and development company "The Archimedes" reveals that it has developed a totally new generation of wind turbines for domestic use. This wind turbine will gain much more energy out of the wind than current generation wind turbines. Additionally this so-called Liam F1 Urban Wind Turbine hardly produces sound because of its remarkable design. The turbine will be presented to the press and people coming from over 40 countries on Tuesday.